* While this chain is still very tough and will deter most thieves, please note that our videos were shot using the larger 3/8" Pewag security chain. This lighter "7 mm" size is offered for those that find the 3/8" chain too heavy and bulky. What is the actual link diameter? What size hole or opening is required to actually pass the chain thru? How does it compare to the 3/8" Pewag chain? This chain is 7mm or 9/32" in diameter, while the larger chain you're asking about is 10mm or 3/8" in diameter. The 7mm chain is 0.95" at its widest point, while the 10mm chain is 1.43" at its widest point. Please keep in mind that industrial chains like these are subject to dimensional variation, so in examining each link, these measurements could change slightly. While both chains are hardened, the larger the chain, the harder it is to cut. 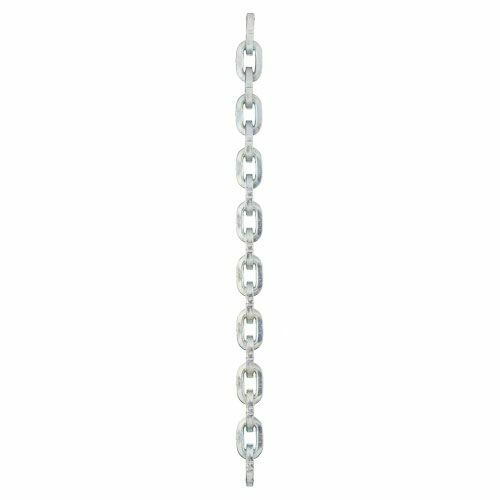 How does this chain compare to 1/4" stainless steel chain? Is it harder to cut? Stainless steel chain is much easier to cut because it is not hardened--we have tested this ourselves. 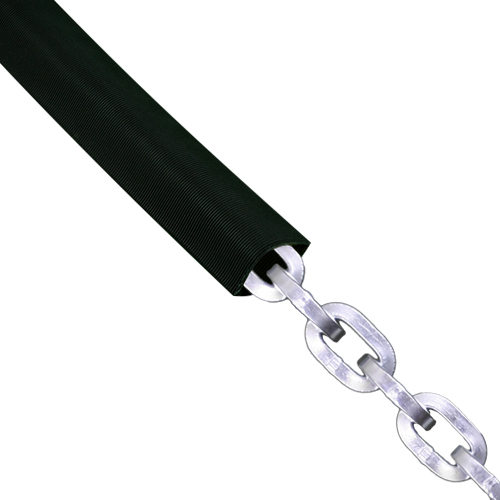 BUT keep in mind that the 9/32" security chain is also easier to cut than larger sizes of comparable security chain. For truly high security, we recommend security chain sized 3/8" and up. But for portability and ease of use, the 9/32" security chain is still viable. How much to ship to ship 6ft of 9/32" Pewag security chain to 89084? We do not offer shipping quotes using our Q&A feature because the answers are left up permanently, and shipping rates change often. Please add 6ft of the chain to your cart, then on the very first checkout page, enter your zip code. You do NOT need to enter your billing information and credit card to get this information. The chain and chafe sleeve work well. It is pretty easy to get up to 10 feet of sleeve over the this chain in a couple of minutes. Hoping this will be bolt cutter resistant. This 7mm size is just right. Not too heavy but just difficult enough to cut that the thief will move on.